Vortex is one of the biggest names in scopes. They make some of the highest quality optics out there. With such a wide range of quality scopes, it can be hard to choose the right one. Here, we’ll walk you through all you need to know about Vortex scopes and review some of our favorites. 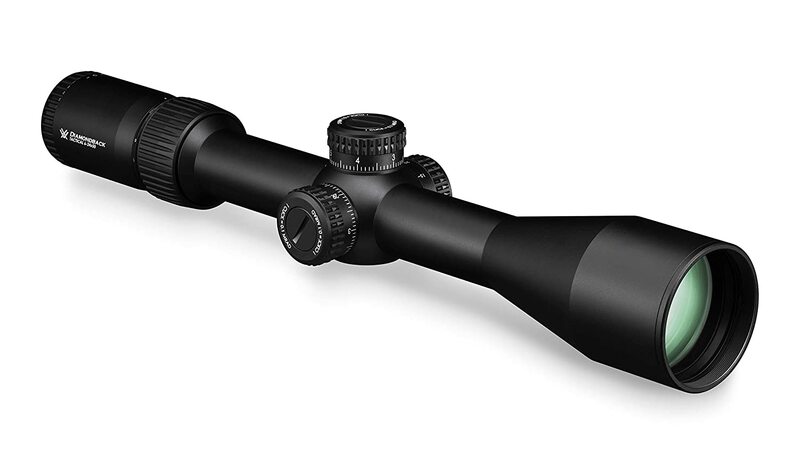 If you’ve ever looked for a high-end scope, chances are you’ve heard of Vortex. It’s one of the best producers of performance optics, making everything from binoculars to scopes. Based in southern Wisconsin, the company is known for more than the quality of their products. They are one of the most responsive and easy to work with companies you’ll find, with generous lifetime warranties on just about all of their products. How Does Vortex Compare to the Competition? Vortex produces some of the best lenses you can get for the price. They are multi-coated, giving them excellent light transmission. You’ll get a clear, bright image with great contrast no matter the light conditions. Vortex makes some of the best optics out there. Fortunately, they are also quite affordable. Although they make some seriously durable scopes, Vortex knows that even the best-made product can have issues. That’s why they offer a generous warranty that gives you lifetime protection. The wide variety of scopes offered by Vortex means that just about any hunter or shooter will be able to find one that’s right for them. But the sheer variety of products may be a bit overwhelming. To help you along, we’ve selected some of our favorite Vortex scopes and reviewed them. By comparing the scopes featured here, you’ll be able to find the one that is perfect for you. 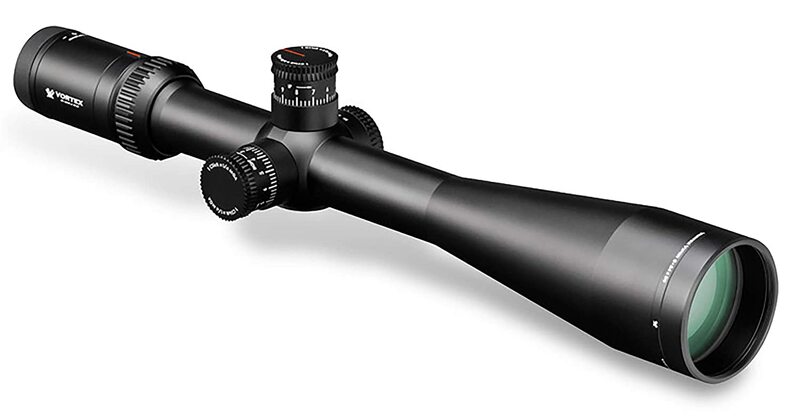 The wide magnification range makes this an excellent scope for just about any distance. You’ll be able to easily sight a target at mid range, as well as take shots from hundreds of yards out. The multi-coated lens gives a crisp and clear image at just about any magnification level, although there may be some blurring as you reach the maximum magnification. The turrets don’t stick out too much, giving the scope an excellent zero reset and keeping it accurate at various ranges. The precision-glide erector system gives you smooth, responsive magnification. And like every Vortex scope, the build is sturdy and durable. The argon-filled body keeps out fog and water. It will also absorb impacts from recoils and bumps, so you shouldn’t worry about pairing it with a heavy round. You get all of this for a price that is affordable, with a lifetime warranty. 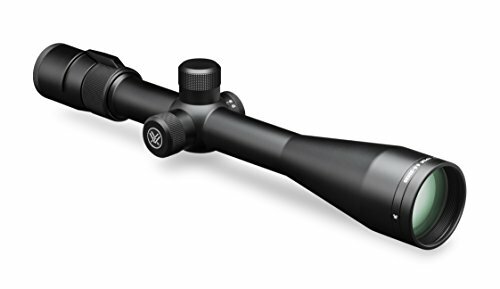 With its combination of elite long and mid-range performance, durable build, and affordable price, this is the best all-around Vortex scope. If you’re looking for a Vortex scope for an AR-15, you’ll want something with quick sighting and a durable build. That’s exactly what you get with the Viper HS-T. The magnification is quick and smooth, with satisfying clicks on the dials every time it turns. And you’ll have a wide range of magnification levels to quickly move between distances. This makes it a great all-around scope. The light dispersion is top-of-the-line, so the scope makes the most of every ray. You’ll get bright images on even the lowest light days. The images are also sharp. What’s not to like about the Viper? It’s not the best scope for close quarters. And there can be some blurring in images as you reach the highest magnification levels. It’s also a bit pricier than other Vortex options. However, with one of the best lenses you’ll find in a Vortex scope, excellent magnification, and a durable build, this is the best Vortex scope you can find for your AR-15. If you plan on shooting with a 308, you’ll need a scope that gives you great performance at long ranges, as well as a sturdy build to take the impact of the heavy recoil. And that’s exactly what you’ll get with the Viper PA. The magnification on this scope really stands out, giving you great images from far away. The lens coating is also excellent, so you’ll get bright and sharp images. At max magnification, however, there may be some image blurring, especially at the edges of the eye box. The turrets are tall, making them easy to grip and turn. Adjustments are smooth as well, so you won’t overshoot and make the image blurry as you try to focus in. The reticle is simple but effective, with clear gradations that make sighting easy. As this is a Vortex scope, you can expect plenty of durability. The solid aluminum body takes impacts well, so it’s a good scope for hunting in rough terrain. And the fog and waterproofing also hold up well. The Viper PA is also quite affordable, making it an excellent choice for hunters who need a reliable, long distance scope to pair with a 308 cartridge. This scope comes with a large 50mm lens. And Vortex makes the most of it to give you excellent image quality at just about any distance, in just about any lighting conditions. The multi-coated lens gives you excellent light transmission as well, so you’ll get a bright image on low light days. The reticle has an illumination feature that helps you spot targets in poor lighting conditions and it can easily be adjusted with a smooth turning knob. Magnification changes are just as easy, with an easy to access knob. The Zero Stop mechanism works well, ensuring that you have consistent accuracy at various distances and elevations. And the adjustable parallax truly is excellent. As this is a Vortex, expect fog and waterproofing and a nearly indestructible aluminum body. Anti-abrasion properties on the lens are also excellent, so you shouldn’t be worried about taking this scope into rough terrain. What’s the downside here? Vortex oversells the eye relief, so you won’t have as much room as you are promised. But the main knock against this scope is its cost. This is a seriously expensive piece of gear. But if you need the best Vortex scope for long distance hunting, it’s a worthy investment. The Diamondback Tactical is an excellent scope for those that need a durable deer hunting scope with clear and sharp images. The reticle is marked with easy to read gradations that allow you to quickly sight a target. It’s simple, but it works. This isn’t the most high-performance Vortex scope. However, you’ll still get all of the durability the company is known for. And the aluminum case is fully fog and waterproof. Although an excellent scope, there are some downsides. Its max magnification is 12x, so you may not get great performance at longer distances. And there can be some image blurring as you work your way up to the highest magnification levels. But for the price, this is just about as good as it gets. If you need an affordable deer hunting scope with good image quality and a durable build, the Diamondback is a great option. Vortex makes more than just riflescopes. They also produce an excellent range of spotting scopes, the best of which is the Razor HD. The glass has some of the lowest light dispersion you’ll find in any spotting scope. That means you get an ultra-sharp picture at just about any magnification level. The lens also has dielectric prism coatings that make the images colorful and bright. This spotting scope is built with the same durability you’ll find in their riflescopes. You shouldn’t be afraid to take this scope out into rough or rough terrain. The lens has excellent anti-abrasion properties and it is fully fog and waterproof. What’s the downside of the Razor HD? It’s not cheap. If you’re looking for an affordable spotting scope, this may not be the best choice. 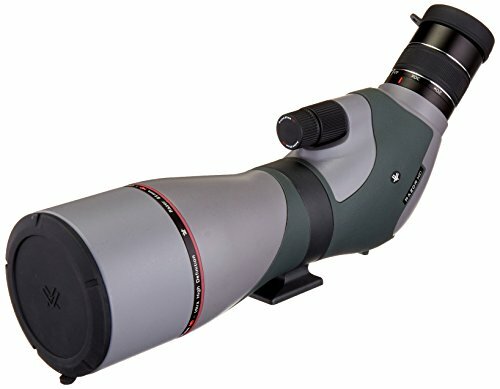 However, if you want the best Vortex spotting scope, the Razor HD is your best option, and well worth the investment. 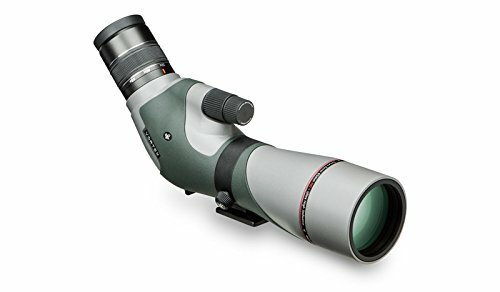 Sometimes you just want the best performance you can get in an affordable scope. That’s exactly what you’ll find with the Crossfire II. The lens has low light dispersion, so you’ll get clear and bright images. Also, the light transmission is excellent, giving you bright images in various light conditions. The reticle gives you quick sighting at various distances. It’s simple but more than functional enough for most purposes. The nitrogen-filled aluminum body will give you excellent fog and waterproofing. The scope holds up in even the roughest, wettest conditions. Although a great all-around scope, there are some issues with the Crossfire II. Images begin to blur at the higher magnification levels. And the glass quality isn’t quite as high as what you’ll find in other Vortex scopes. These, however, are minor complaints. You won’t find a better Vortex scope for the money. Vortex has a scope for just about every purpose. Need a scope that can shoot from 1000 yards out? Vortex has got you covered with the Strike Eagle. The Strike Eagle comes with a good eye box. Although it’s not quite as great as Vortex promise, it will be more than enough to take the recoil from a heavy round. The second plane means you’ll get clear images as you transition to the higher magnification levels. If you are shooting from 1000 yards, you’ll need this level of image clarity and brightness. And the huge 50mm lens gives you the perfect field of view for performance at long ranges. 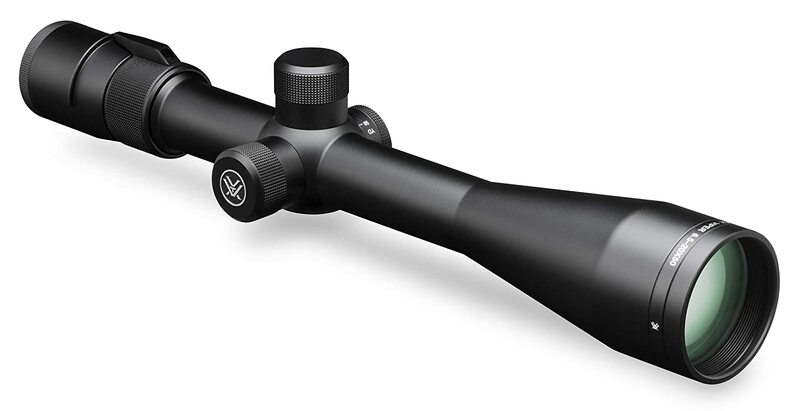 The anodized aluminum body is just as durable as you would expect from a Vortex scope. And it has the fog and waterproofing the company is known for. It also comes with the company’s generous lifetime warranty. For the price, you won’t find a scope that will perform at 1000 yards like the Strike Eagle. Vortex is one of the best scope makers out there, with a staggering range of high-performance scopes for you to choose from. The sheer variety of options can be overwhelming. With our guide and reviews, you’ll be able to compare all of the different Vortex scopes and find the perfect one for you.